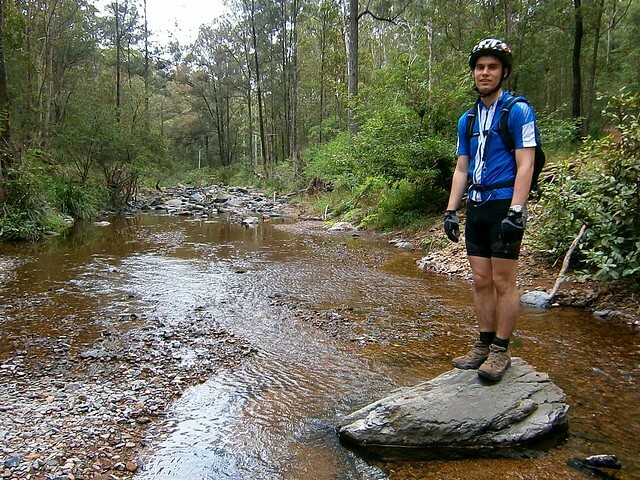 For our Anzac Day holiday today, my son Lachlan and I rode through D’Aguilar National Park down to England Creek and back up to Mount Glorious. I’ve done the ride a few times in either direction, and I wanted to share the experience with Lachlan. 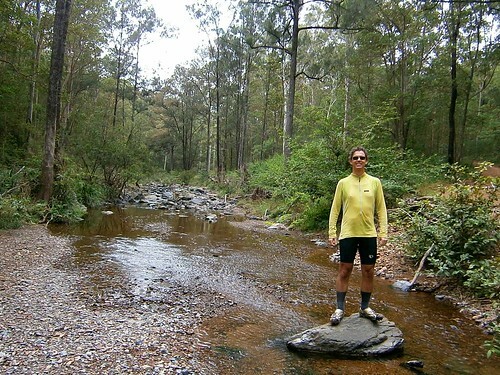 We started from the bottom of the Goat Track at Highvale, riding up to Dundas Road at Mt Nebo, then followed Goodes Road down to England Creek. 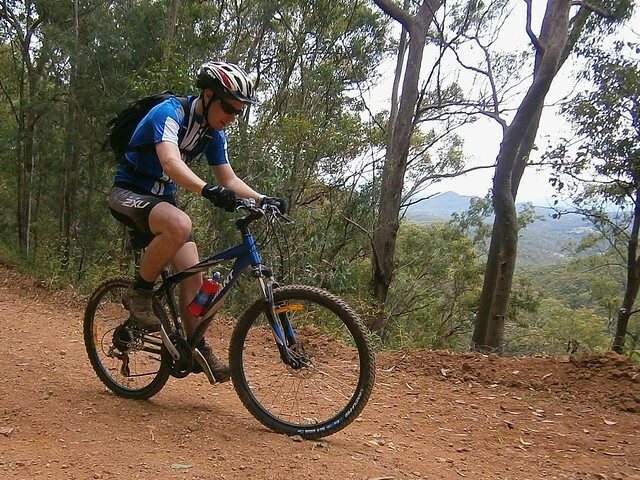 Goodes Road is a fairly steep descent, and I was worried how Lachlan (who hasn’t done much off-road riding) would handle it. Instead of his usual hybrid bike with slick tyres, we put him on a similar bike with more agressive tyres and more powerful brakes to make sure everything went smoothly. England Creek, as always, was beautiful. The water was crystal clear. On this particular route it’s the perfect spot for a quick break, because after this point, it’s about 80 to 90 minutes of uphill climbing. 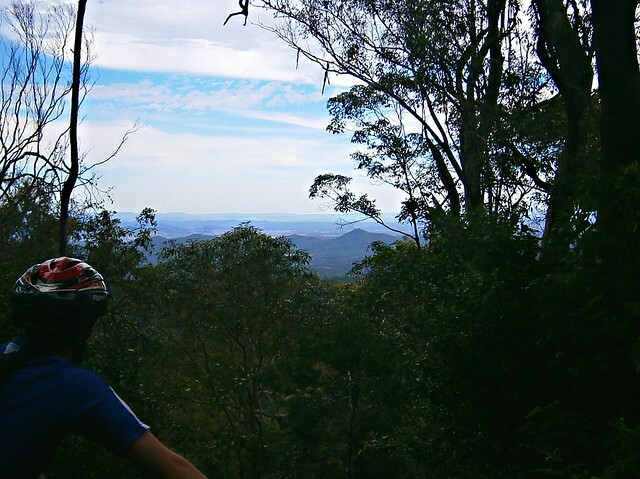 We took a bit of a breather halfway up Joyners Ridge Road to enjoy the view out towards Wivenhoe Dam. 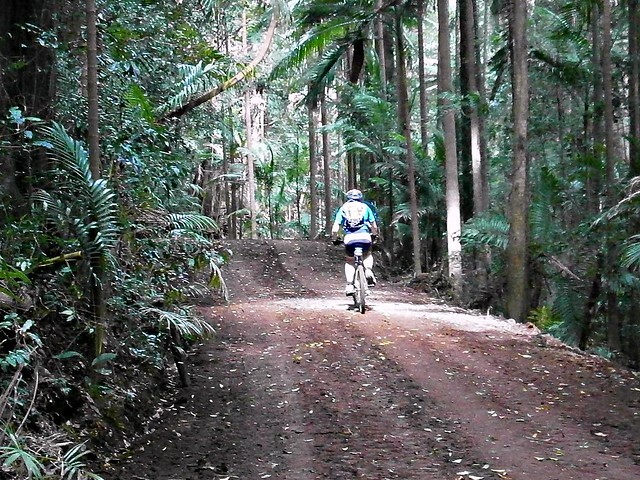 The rainforest at the top of Joyners Ridge Road is one of my favourite parts of the National Park. It’s a wonderful feeling to ride through the tall piccabeen palms and ancient figs in the green light. It’s also a bit of a relief at this stage to realize that the long climb is finally over. 35km, with 1050m of ascent and 3090 kcal. With todays cool weather and the social pace, this one rates 7.5 out of 10 on the tough-o-meter.